Mesa/Boogie Engineering–a company that specializes in making amplifiers for guitars, bass, and rock in roll fanatics… Yes, for you! 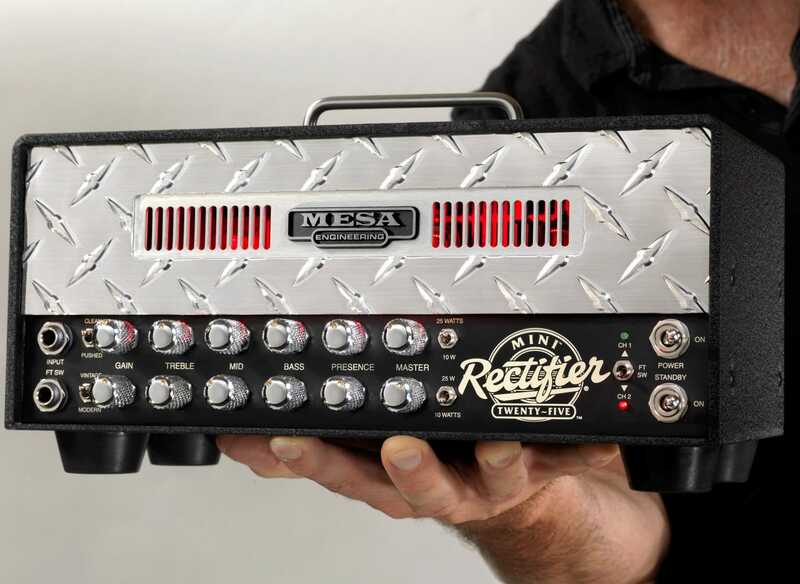 One of the most legendary amplifiers from Mesa/Boogie is the Rectifier series, which we more commonly use the term ”Recto”. The Recto was responsible for the detuned 7-string nu- and heavy-metal to fame in the nineties. It was an instrumental success to this new genre of music. Three variations of the Rectifier series which include: Single Rectifier, Dual Rectifier and (the big dogs) the Triple Rectifier. 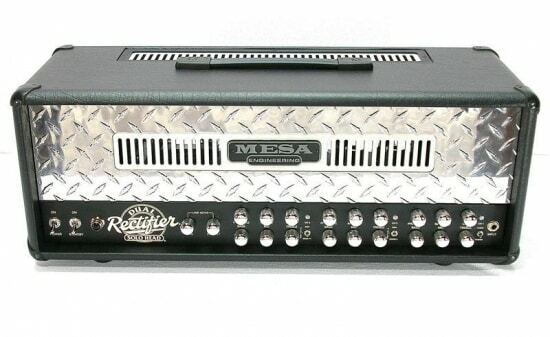 All the Rectifier series are manufactured by Mesa Engineering here in the United States. The Single Rectifier produces 50-watts of power and uses a silicon diode rectifier, not the actual glass valve like it’s big brother. Single Rectifier (50-watt) family include the Single Rectifier Solo Head 50, Rect-o-Verb 50 head followed by the Rect-o-Verb 50 combo; which is all fitted neatly with a single 12″ Celestion Black Shadow speaker. The most popular model (and my personal favorite) of the Recto series is the Dual Rectifier Solo Head. Loaded with a Mesa Boogie Dual Recto-quartet set of Mesa 6L6 power tubes (switchable to EL34s –same as single and triple Rectifiers), the Dual Recto produces 100-watts of pure-tube-power. If you prefer a looser tube-sag tone, then all you have to do is simply flip the switch on the back panel to select the Vacuum Tube rectification mode from the Silicon Diode (see photo), this will engage the two 5U4-G Rectifier Tubes. The Dual Rectifier originally designed as a 2 channels unit, however, in 2001 the model was redesigned to have a third channel included. Though the redesigned product had an additional channel, many people still prefer the original 2 channel as they claim that it produces a more superior sound over the redesigned version. With that said, some state that the cleans from the 3-channel are far more supior over the original 2-channel version. 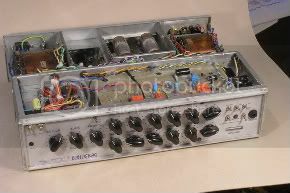 And now for the BEAST, the Triple Rectifier has three 5U4G Rectifier tubes and six 6L6 power tubes, which produces a massive 150-watts output of power. The Triple rectifier was also originally designed as a 2-channel unit like it’s counterpart, but was redesigned to hold the third channel. 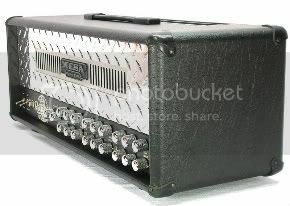 And like the Dual Rectifier Solo Head, many still consider the original designed had a meaner sounding growl. 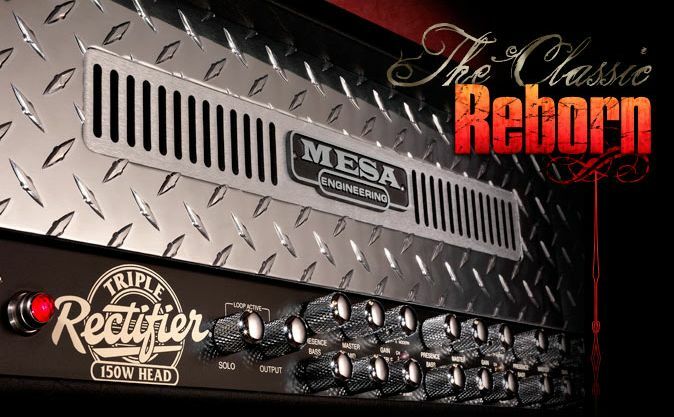 When the Triple Rectifier was designed, it held a catchy tag line From Mesa Boogie — “When excess is barely enough”. It’s safe to say this Monster’s sheer power has more than “excess”, it will simply blow you away!